A Congress where participants may broaden their knowledge and skills in both the theory and practice of Laryngology, Phonosurgery and Voice. 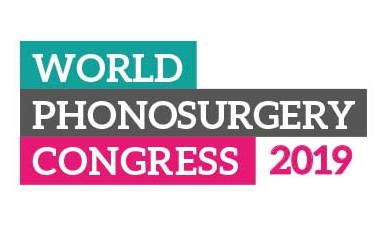 This congress is suitable for those working across phonosurgery, laryngology, ENT, and voice, from researchers to clinicians, trainees to senior specialists. The Congress usually attracts over 400 participants from around the world, and offers presentations, panels, round tables, workshops, master classes, free papers and posters from international experts in the field.